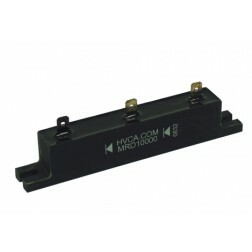 Encapsulated High Voltage Rectifier in a voltage doubler configuration. 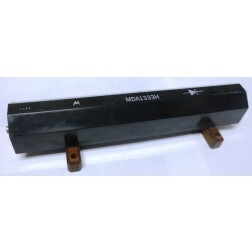 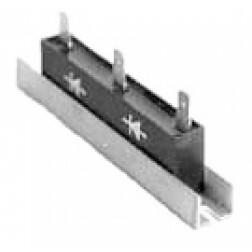 Uses 2.5 Ampere diodes encapsulated in thermally efficient epoxy which is then cemented into an aluminum channel for mounting. 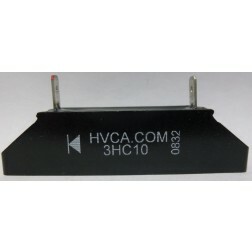 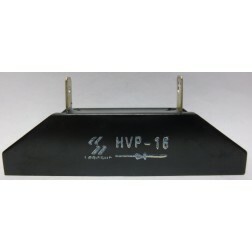 Rated 10,000 Volts PIV per section, or 20,000 Volts PIV for the whole assembly. This unit is rated 0.8 Ampere average. 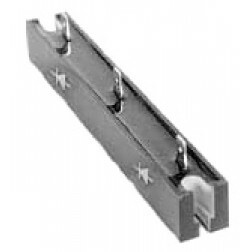 A slot is punched in each end of the channel for a #6 mounting screw. No longer available. Use substitute Part Number 3HC15 (below).